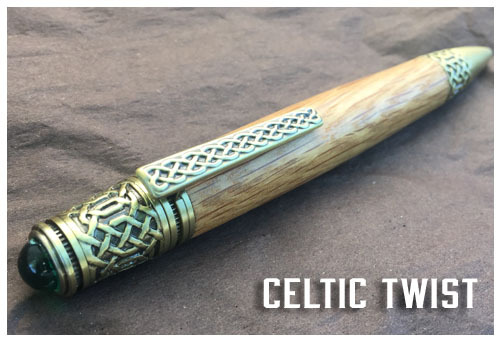 This style pen is the "Celtic" design. Perfect for the history buff! 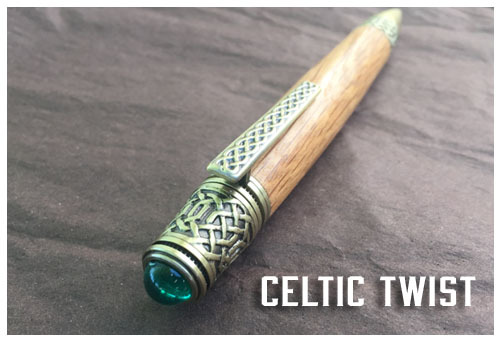 The pen features intricate Celtic Knot scrollwork on the tip, clip and end, with an emerald color cabochon. 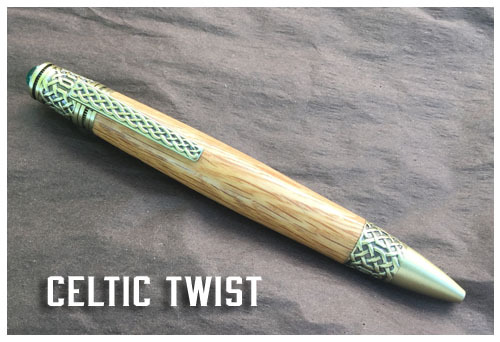 The Celtic Knot motif dates back to the 5th century and represents the truth of eternity and interconnected spirit. This pen twists at the top to extend the Parker refill.